A ballet flat that feels as good as it looks. Features include genuine leather uppers in a variety of on-trend colors and textures with removable footbed that’s easy to wash. Flex strips allow for added flexibility under the forepart of the shoe and a shock-absorbing sole allows for all-day comfort. Your next go-to shoe. Scenic is the flat that goes with anything so you can go anywhere. A flat with plush comfort built in. Scenic features premium leather stretched over our exclusive last for added toe room and a relaxed fit. A removable footbed is easy to wash and adds cushion. Flex Strips keep this shoe light and flexible. 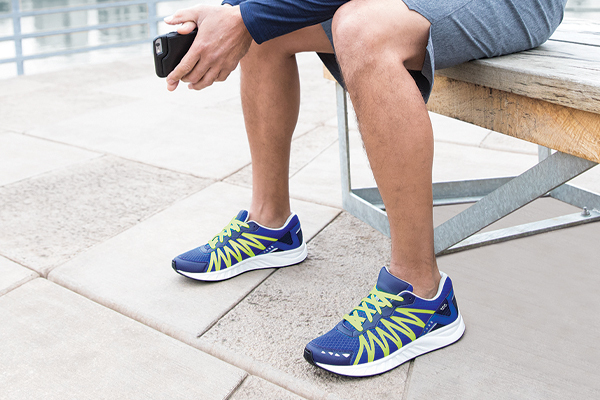 A shock-absorbing sole allows for all-day comfort. Genuine Leather Upper: Premium leather makes up the upper on this shoe and is shaped to the foot with a relaxed fit. Removable/Washable SAS Comfort Footbed: A footbed with shock-absorbing foam cushion provides a comfortable layer that contours to the foot from heel to toe. This footbed is removable and machine washable. Flex Strips: This unique flex strip construction creates a bendable shoe for added comfort.